The science of weight loss doesn't have to be complicated. Put in the hard work, make smart nutritional choices and you can turn your body into a fat-burning machine. BSN Pros have developed the all-new ISOBURN to support lean muscle and your fat-burning potential. 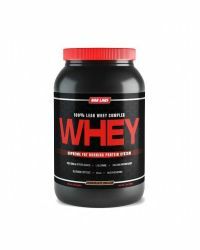 Each serving provides 20 grams of 100% Whey Protein Isolate along with a powerful blend of Green Coffee Extract, L-Carnitine, and LeptiCore. Because the formula is decaffeinated, you can mix up a great-tasting shake any time of the day or night. ISOBURN is a unique 2-in-1 product consisting of 100% Whey Isolate Protein Powder and stimulant free fat-burning ingredients, allowing the use of ISOBURN day or night to support lean muscle mass and your metabolism. ISOBURN delivers 250 mg of L-Carnitine per serving. Carnitine is an amino acid that supports energy production by facilitating the transfer of fatty acids into the mitochondria. Carnitine may help fat-burning by supporting fat oxidation for energy production. ISOBURN delivers 300 mg of LeptiCore per serving. LeptiCore is a multifunctional complex consisting of blue-green algae, pomegranate, fatty acids, and polysaccharides. Green Coffee Beans are coffee beans that have not been roasted. The roasting process reduces the amount of the naturally-occurring compound chlorogenic acid. Therefore, green coffee beans have a higher level of chlorogenic acid when compared to roasted coffee beans. ISOBURN delivers 300 mg of Green Coffee Extract per serving (standardized to contain 50% Chlorogenic Acid). Other Ingredients: Whey Protein Isolate, Cocoa (Processed with Alkali), Sunflower Powder (Sunflower Oil, Corn Syrup Solids, Sodium Caseinate, Mono & Diglycerides, Dipotassium Phosphate, Tricalcium Phosphate, Soy Lecithin and Tocopherols), Natural & Artificial Flavors, Cellulose Gum, MCT Powder (Medium Chain Triglycerides, Nonfat Dry Milk, Disodium Phosphate, and Silicon Dioxide), Lecithin, Salt, Acesulfame Potassium and Sucralose. Allergen Information: Contains Milk and Soy (Lecithin) ingredients. Lecithin is a phospholipid complex derived from soybean oil, which is used to promote mixability. Lepticore? is a trademark of Gateway Health Alliances, Inc. and is protected under US Patent 6,899,892 and patents pending. GlucoHelp? is a registered trademark of Soft Gel Technologies, Inc.
*These statements have not been evaluated by the Food and Drug Administration. This product is not intended to diagnose, treat, cure or prevent any disease. This product has been manufactured by a Good Manufacturing Practices (GMP) facility. Store in a dry cool place away from direct sunlight. Contents sold by weight, not volume.